Lestrade: The housekeeper was in the plot, of course. Holmes: Yes, of course, to bring him food and drink, and to put that thumb mark onto the wall. Scene 7 wraps up the story of the Norwood Builder. Once Holmes had proven Jonas Oldacre’s guilt and, therefore, John McFarlane’s innocence, he was willing to explain how the crime must have been committed and how he’d figured it out. This is the reconstruction of the crime, a feature of every cozy detective story. 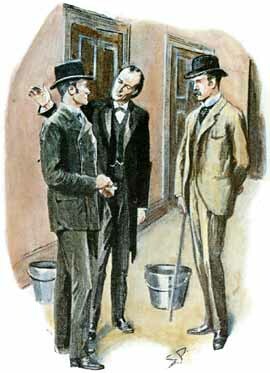 As Holmes responds to their questions, Lestrade and Watson come to understand how Oldacre had the housekeeper put the thumbprint on the wall, and how he’d even gotten John’s thumbprint in the first place. Holmes is also able to explain Oldacre’s dual motive, one reason being for revenge on John’s mother, and the other reason being to defraud his creditors. Holmes has an explanation for the remains that were found, the buttons, and the bloodstained walking stick too. All of this so-called evidence, like the thumbprint, had been intentionally placed at the crime scene just to frame John McFarlane. John is released from jail and comes to thank Sherlock Holmes. He is exuberant at his newfound freedom, a fresh chance to live again. Sherlock, who only takes on interesting cases, is amazed at how simple it was for Oldacre to set John up as the prime suspect in a murder case and change his identity to get out of paying off his creditors. 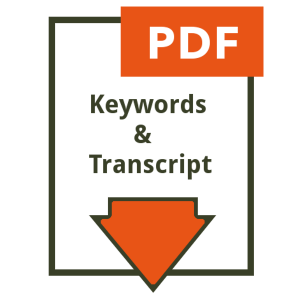 On my companion site, Venture Into English, you will find several radio plays, each with a word list, drag ‘n’ drop vocabulary game, quiz, and transcript of the play. I recommend you listen first. Then try learning the key words. Then listen again. When you’ve gotten as much as you can from listening , listen again and read along. 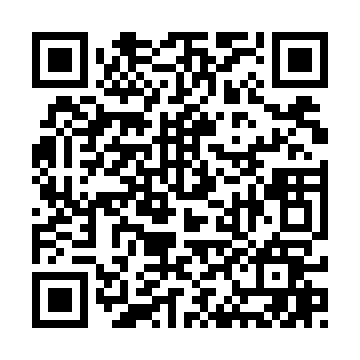 Review time: Listen to the whole play again, from beginning to end, Length: [27:26].